The Shorebird built by the Saturday class. This is an ongoing class that teaches the fundamentals of proper hand tool usage, traditional woodworking and wooden boatbuilding. Prospective students should contact the School to schedule a visit and get on the waiting list . Applicants must first make an appointment by email to introduce themselves during a school visit. They may then apply to attend a free Saturday audit of the class from 9am to 4pm. The applicant may then ask to join the class. If the class is full, the applicant may be put on the waiting list. Please send all inquiries to arqueschl@sbcglobal.net. This class is for beginners as well as advanced students of woodworking. The focus is on learning to use hand-tools properly, lofting (the full size drawing of a boat’s lines), and the construction methods of traditional wooden boatbuilding. This is an ongoing class with no particular starting date. We meet every saturday from 9am to 4pm. New students are accepted into the class whenever there are openings. This class is limited to 7 students. $550 (U.S.) per student for six months. One half to be paid when registering, with balance payable on the first day of class. bi-monthly payments can also be arranged. Students with good attendance may repeat the class. Students need basic hand tools such as planes, chisels, saws, hammer etc. 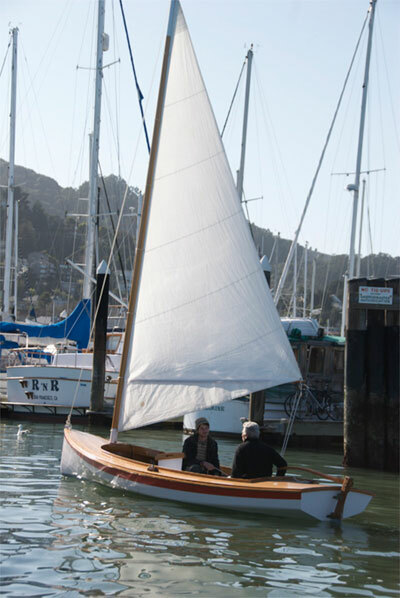 Anton Hottner and Brian Turner have many years of experience in building and repairing traditional wooden boats. They are both graduates of the Arques School.